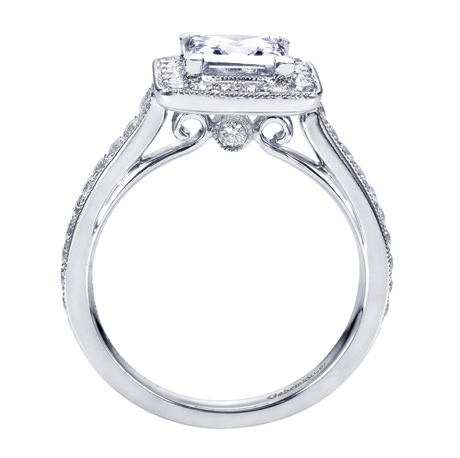 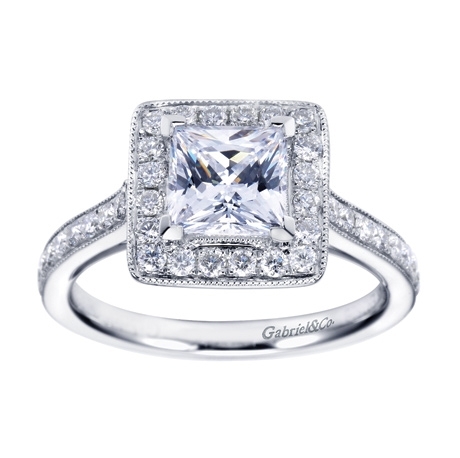 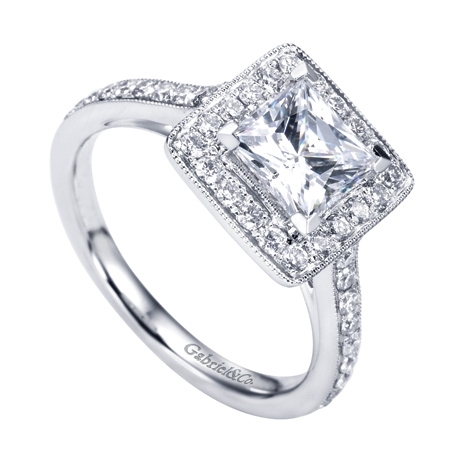 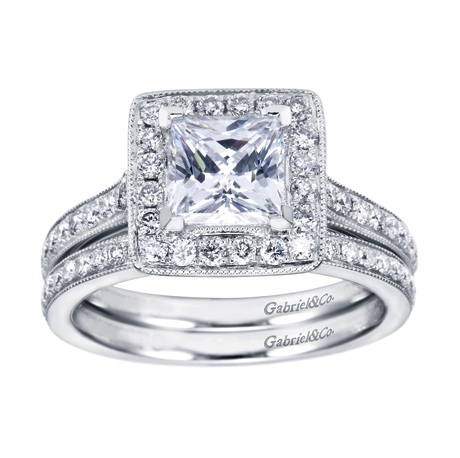 This 14k white gold halo engagement ring is an excellent choice for those looking to use a princess cut center stone. 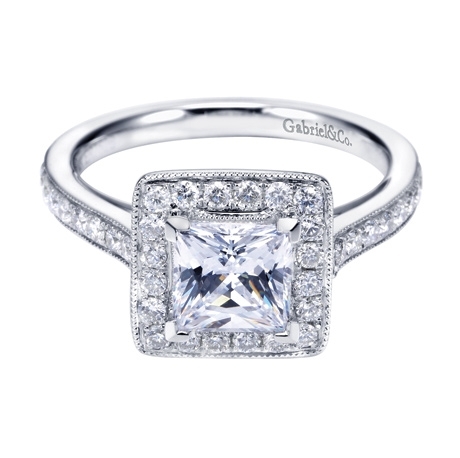 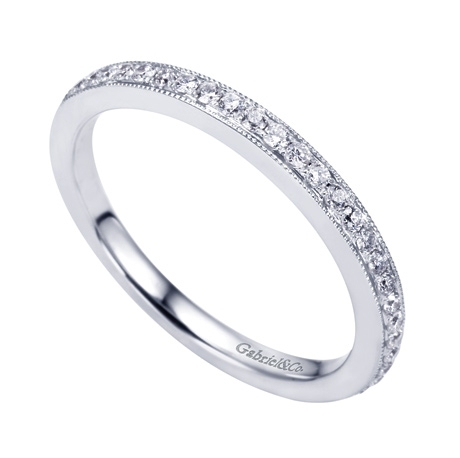 With 42 round brilliant diamonds at over a carat this halo will leave her floating.. Round brilliant diamonds wrap around a princess cut center diamond in this victorian, yet contemporary white gold engagement ring.